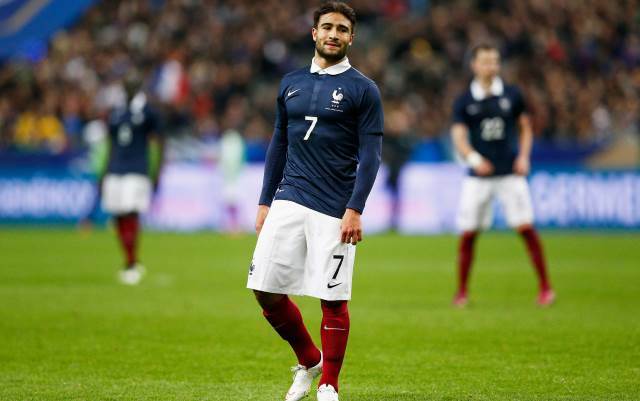 Olympique Lyonnais coach Hubert Fournier has expressed his disappointment that some France fans saw fit to whistle Nabil Fekir when he made his Bleus debut on Thursday evening. Alejandra Ruiz – hot Colombian journalist poses naked after her team win promotion. The Franco-Algerian forward came on as a second-half substitute to make his debut for Didier Deschamps’s side in their international friendly against Brazil. Les Bleus were already two goals down when Fekir made his entrance, and the Lyon man was unable to change the course of the contest. The youngster’s appearance was badly received by some quarters of the fans at the Stade de France. The forward had deliberated whether he should represent Les Fennecs or Les Bleus before finally opting for the European side. “I didn’t particularly hear any whistles,” began Fournier, as reported by Lyon’s official website, “and I don’t have anything to say about this kind of thing. “However, I think that it’s a shame not to unite behind the players, as soon as they wear the national team shirt, they should be supported. Fekir has been one of the revelations of the current Ligue 1 campaign. The 21-year-old has made 26 starts in the French top flight, scoring 11 goals and contributing seven assists. He also scored two in two in the French Cup and made two appearances in the Europa League. Heading into the international break, Lyon sat second in Ligue 1, one point behind leaders Paris Saint-Germain with eight games to play.